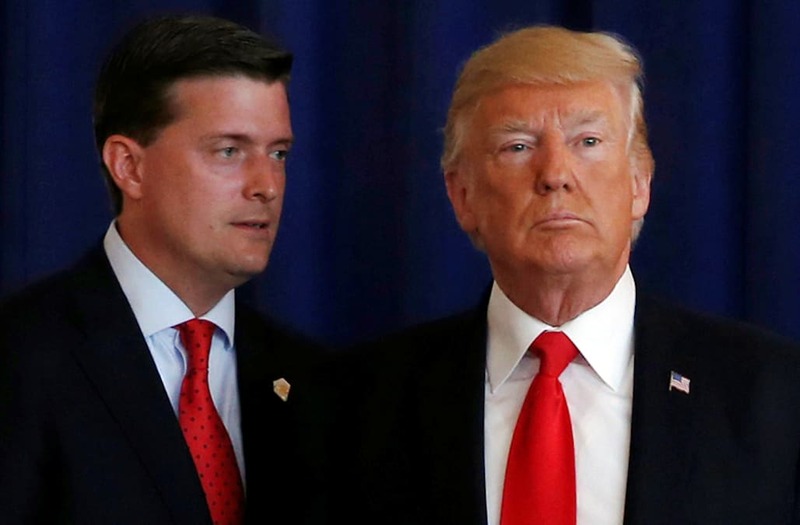 Rob Porter resigned at White House staff secretary on Wednesday after his two ex-wives went public with allegations that he abused them during their marriages. The Intercept reported earlier that day that the FBI had spoken with both women about their allegations during background interviews about Porter. Those allegations reportedly contributed to the year-long delay in granting him the security clearance customary for staffers of his rank. But Porter is far from the only Trump administration official to encounter problems or controversy over his security clearance. Democrats have been pressing the White House to provide details on its security clearance process, and lawmakers repeated that call on Thursday in the wake of Porter's resignation. It's unclear how many White House staffers have been delayed permanent security clearance due to red flags raised during their FBI background checks, and deputy press secretary Raj Shah declined to answer when a reporter asked him for specific details during Thursday's press briefing. Former campaign manager Corey Lewandowski (C) says hello to reporters as he and White House advisors Sebastian Gorka (from L), Omarosa Manigault and Communications Director Anthony Scaramucci accompany President Trump for an event celebrating veterans at AMVETS Post 44 in Struthers, Ohio, U.S., July 25, 2017. Jonathan Ernst: "The most visible person in any White House is naturally the President, followed by the press secretary. But there are also the staff who support them, any one of whom might suddenly jump into public view and be national news for a day or two. For those of us covering the President Trump administration, there seem to be more compelling figures in the West Wing than ever before. It's crucial to know who's who and why they're important. When I raised my camera and back-pedalled ahead of the group to take this image Lewandowski gave me a hello and pointed right into the lens. I liked the photo, but had no idea it would go a little bit viral, especially since Scaramucci, who was the biggest mover and shaker that week, was hidden back in the pack. But I guess the image catches a glimpse of what it's like to be a West Wing staffer on the road. "REUTERS/Jonathan Ernst/File photo SEARCH "POY STORY" FOR THIS STORY. SEARCH "REUTERS POY" FOR ALL BEST OF 2017 PACKAGES. TPX IMAGES OF THE DAY. But there are several top officials whose security clearances have been revoked — or at least heavily questioned by critics and the media. Porter, in his role as White House staff secretary, was in charge of the flow of information that reached President Donald Trump's desk, alongside John Kelly, the chief of staff. But after lengthy delays in being granted permanent security clearance, Porter reportedly grew suspicious and asked his second wife, Jennifer Willoughby, whether she had told investigators about their marriage. "He believed that that was holding up his clearance," Jennifer Willoughby, Porter's second wife, told The New York Times. "I did describe my marriage in detail." Willoughby and Porter's first ex-wife, Colbie Holderness, both publicly accused him of physically and emotionally abusing them, which he has denied. "He was operating on an interim security clearance. His clearance was never denied, and he resigned," Shah said during the press briefing on Thursday. "To summarize, the allegations against Rob Porter are serious and deeply troubling," he continued. "He did deny them. The incidents took place long before he joined the White House. Therefore, they were investigated as part of the background check, as this process is meant for such allegations." Kushner's interim security clearance is the one that most enrages Trump's critics. He, like Porter, has not been granted a permanent security clearance and is still working on a temporary one while his application is under review. Kushner's SF-86 form, a required part of the application process, has been amended several times to more thoroughly list his contacts with foreign officials. Last July, Kushner added more than 100 names to the list, drawing criticism from Democrats and Republicans alike for his previous omissions. Even the top government official in charge of clearing background checks said he'd "never seen that level of mistakes." Perhaps the most glaring omission from his SF-86 was that of Russian lawyer Natalia Veselnitskaya, whom Kushner met at an infamous meeting at Trump Tower in June 2016, along with Donald Trump Jr. and then-Trump campaign chairman Paul Manafort. Since then, Democrats have regularly asked why Kushner still possesses an interim security clearance, but there's little indication it will be revoked anytime soon. The security clearance granted to Trump's former national security adviser has long been a controversy embroiling the White House, though he only held the job for 24 days. Flynn was first granted a security clearance under the Obama administration, in which he served as the director of the Defense Intelligence Agency. His clearance was last renewed in early 2016, according to the Associated Press, but Democrats have accused Flynn of lying in his interview about foreign payments he received for Turkish lobbying. The lawmakers have also accused Flynn of failing to report a 2015 trip he took to the Middle East, and failing to report contacts he had with Israeli and Egyptian officials. The security clearance questionnaires require applicants to report all meetings that occurred abroad and all contacts with officials of foreign governments that took place in the last seven years. Gorka, a former White House adviser, was reportedly informed while he was on vacation by chief of staff John Kelly that his security clearance had been revoked, though it's not clear why. Since Gorka's job was dependent on a security clearance, he was given little choice but to resign last August.